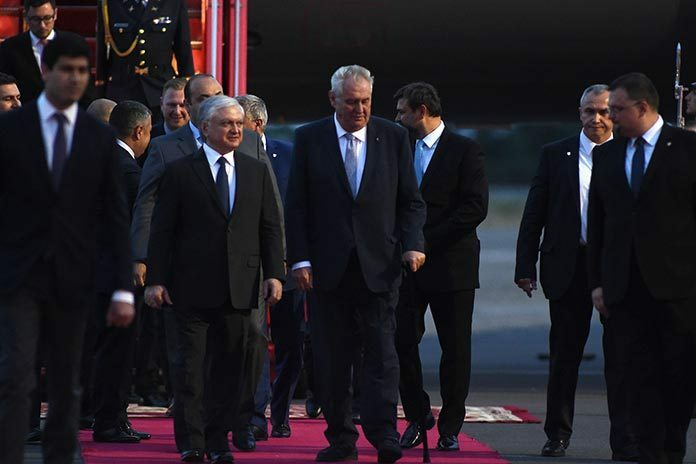 During his June 7-9 visit to Armenia Czech President Zeman is expected to meet with the top Armenian leadership, including President Serzh Sargsyan, Parliament Speaker Galust Sahakyan and Prime Minister Hovik Abrahamyan. Presidents Zeman and Sargsyan are expected to sign documents after high-level Armenian-Czech negotiations as well as make a joint statement on the results of the negotiations in front of media. In Yerevan, the two countries’ presidents will also attend the opening of an Armenian-Czech business forum.